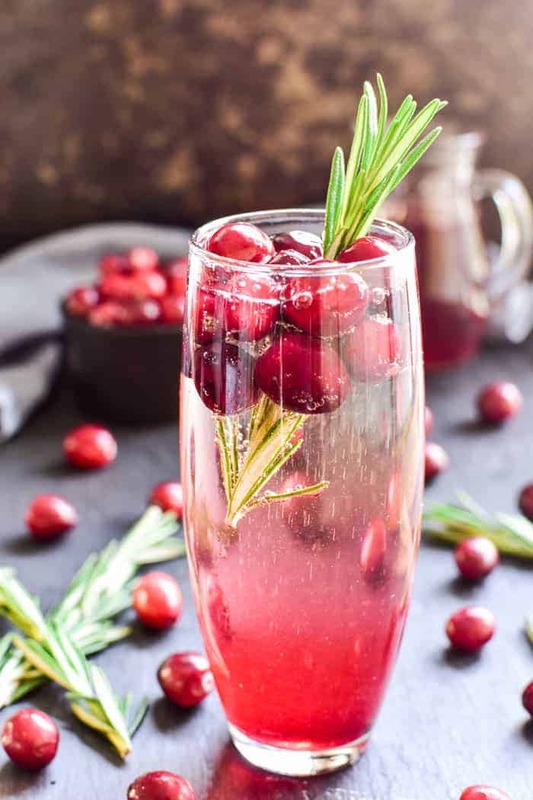 These Cranberry Mimosas are the ultimate holiday cocktail! 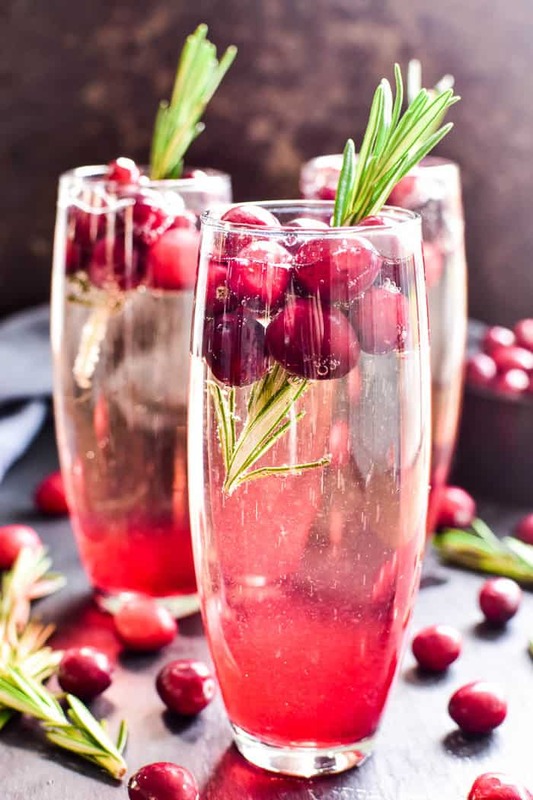 Made with simple ingredients and garnished with fresh cranberries and a sprig of rosemary, these mimosas are sure to become your new favorite champagne cocktail. 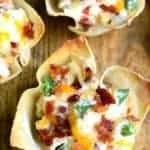 They’re perfect for brunch, holiday parties, or even Christmas day. 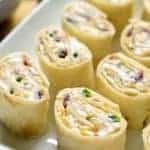 Best of all, they’re made with just 3 ingredients and are easy to make by the glass or pitcherful for simple, stress-free holiday entertaining! Cranberry Mimosas are guaranteed to become a favorite! HOW DO YOU MAKE CRANBERRY MIMOSAS? For a single cocktail, pour 2-3 Tbsp. cranberry simple syrup into a champagne flute. Add a small handful of fresh cranberries. 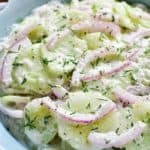 Top with chilled Brut champagne (approx. 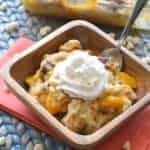 3/4 cup). For a pitcher, combine 1/2 c. cranberry simple syrup, 3/4 c. fresh cranberries, and 1 bottle chilled Brut champagne in a pitcher. Garnish with fresh rosemary. 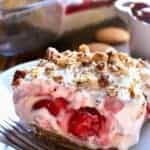 HOW DO YOU MAKE CRANBERRY SIMPLE SYRUP? 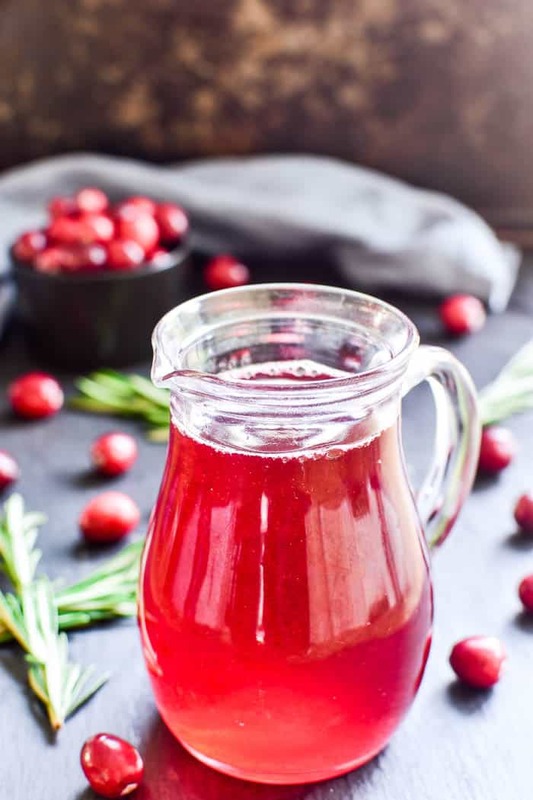 Prepare cranberry simple syrup by combining 1/2 c. water, 1/2 c. sugar, and 1 c. fresh cranberries in a small saucepan. Bring water to a boil. Once cranberries begin to pop, cook 1-2 minutes more until syrup is a deep pink color. Remove from heat, cover, and cool. Use a fine strainer to strain simple syrup. I remember back in the day….when the holiday season meant party season….and every weekend from mid-November to late December was spent celebrating. It was back when adulthood felt new and exciting, and spending days getting ready for a party was totally within the realm of possibility. And if the signature cocktail had 27 obscure ingredients? Then so be it. As long as it was delicious. These days? Let’s just say things are different. These days, the holiday season is a lot less about parties and a lot more about shopping. What can I say? When you have 4 kids, that’s just the way it goes. And when we do have the occasional party to attend or host? It’s ALL about what’s easy. 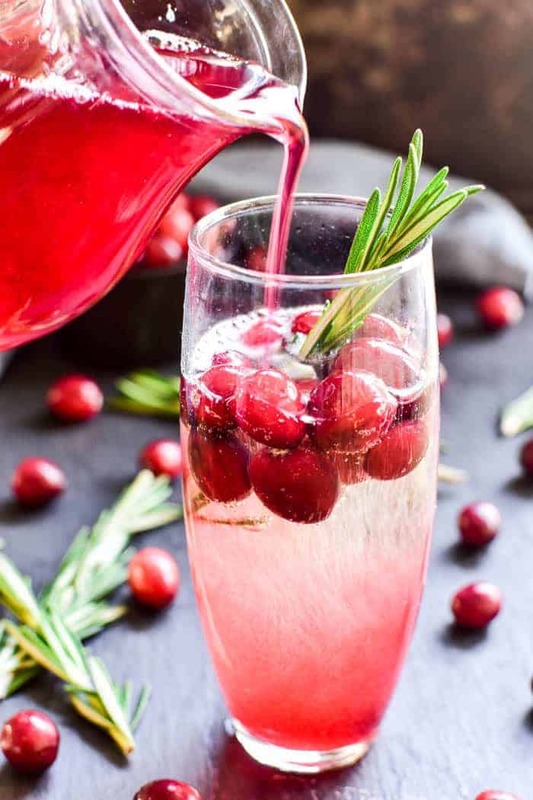 These Cranberry Mimosas are the perfect easy cocktail, and they couldn’t be more ideal for holiday celebrations. I always LOVE a good champagne cocktail, and these are one of my favorites! Made with a combination of Brut champagne and cranberry simple syrup, they’re sweet, tart, and perfectly bubbly. They can be adjusted according to individual tastes, and when you garnish them with fresh cranberries and rosemary? They’re absolutely gorgeous and completely holiday-ready. WHAT IF YOU DON’T HAVE FRESH CRANBERRIES? If you can’t find fresh cranberries, check the frozen fruit section of your local grocery store. You can make these cranberry mimosas with a combination of cranberry juice and champagne. Since cranberry juice isn’t as sweet as simple syrup, you may want to use a sweeter champagne such as extra dry or even sparkling moscato. WHEN DO YOU SERVE CRANBERRY MIMOSAS? Cranberry Mimosas are perfect for Christmas morning and equally appropriate for evening cocktail parties. 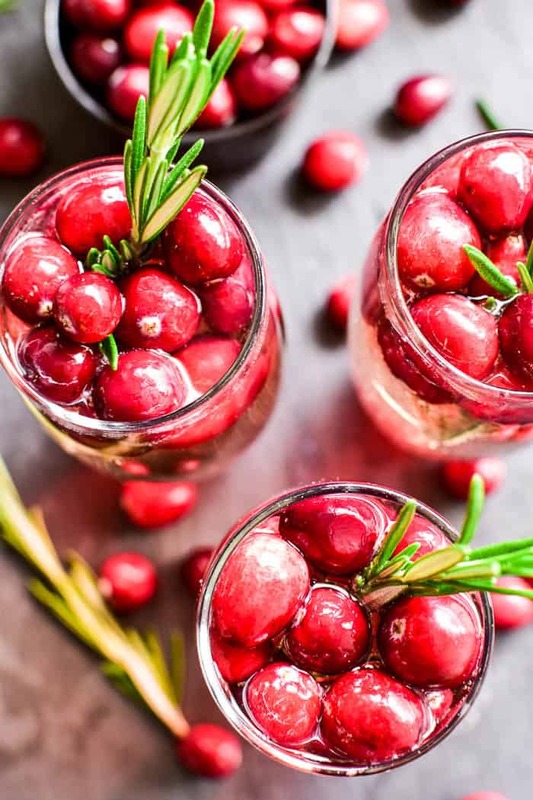 The fresh cranberries and sprigs of rosemary give them an elegant appearance that’s sure to catch the attention of all your guests. 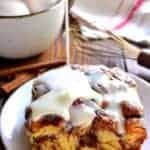 WHAT ELSE CAN YOU MAKE WITH CRANBERRY SIMPLE SYRUP? 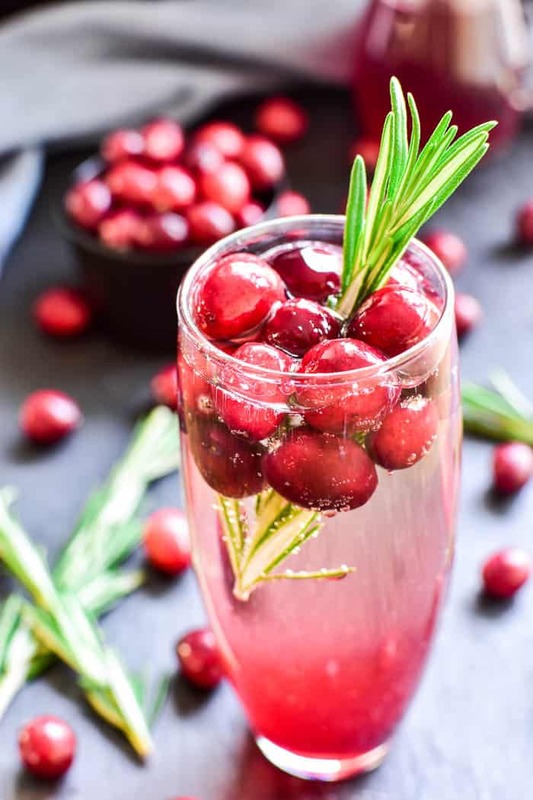 Cranberry Simple Syrup adds a splash of sweetness to any recipe and makes a delicious addition to any of your favorite cocktails. 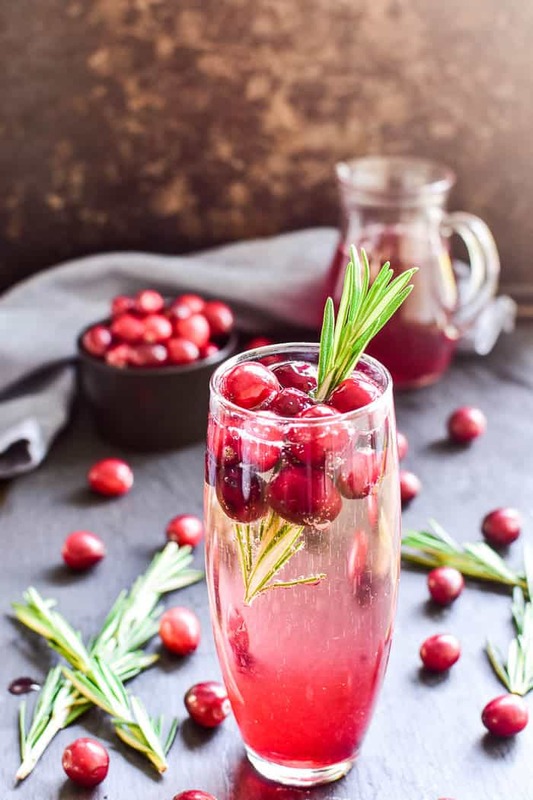 Use it in this Cranberry Apple Sangria, add it to your next vodka soda, or whip up some Cranberry Moscow Mules for your next game day. If you’re looking for non-alcoholic options, consider adding a splash of cranberry simple syrup to your lemonade, soda, or sparkling water. 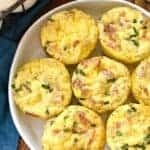 WHAT ARE SOME OTHER FUN MIMOSA RECIPES TO TRY? In a small saucepan, combine 1/2 c. water, 1/2 c. sugar, and 3/4 c. fresh cranberries. 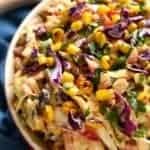 For a single cocktail, pour 2-3 Tbsp. cranberry simple syrup into a champagne flute. Add a small handful of fresh cranberries, top with chilled Brut champagne (approx. 3/4 cup), and garnish with fresh rosemary. 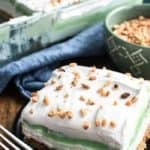 I am ALL about the simple cocktail when I’m hosting a party – these are ideal! The PERFECT cocktail for this time of year! 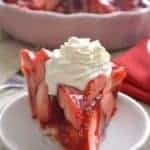 I need a big pitcher of this pretty treat asap! I love a festive holiday drink! Had these at a hotel brunch but they were called poinsettias. Really good! Thanks for sharing! How far ahead of time can I make the concentrate? love these well into the new year, great cocktail plus even the added benefit of some anti-oxidant benefits in the cranberries!